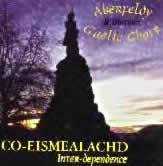 Welcome to beautiful Highland Perthshire... home to Aberfeldy & District Gaelic Choir. The choir has been making music since 1967, and is proud to have been promoting Gaelic culture in the heart of Scotland for nearly half a century. For some 30 years, we competed annually for the Royal National Mod's Lovat & Tullibardine trophy, and were winners of this prestigious award in 1988. Our second major National success came in 1999, when we won first prize in the Puirt a Beul competition. 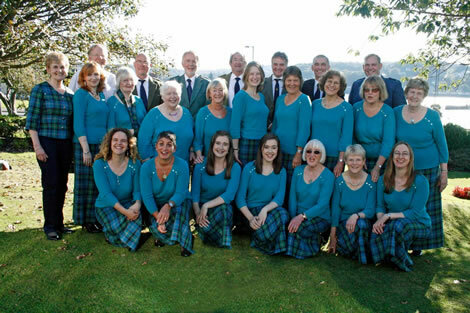 In addition to taking part each October in the Royal National Mod, Aberfeldy Gaelic Choir's programme includes various provincial competitions, including our own local Mod in Aberfeldy. Other Future Events: see our News pages for more information. We will be holding an Open Evening on Monday 13th February 2017, at 7:30pm in the Lesser Hall. Ever thought about joining a choir? We'd love to see you! The Choir has enjoyed success at recent local Mods in Stirling and Aberfeldy. Read about events the Choir is planning in the weeks ahead.